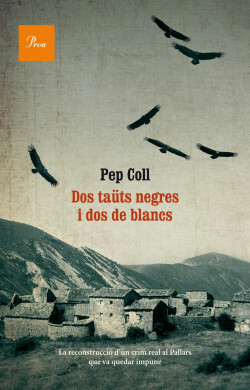 In 1943, in Carreu --a small town in the region of Pallars Jussà, made up of various, scattered farmhouses and populated by shepherds, farmers and woodcutters-- a family dies violently: father, mother and two daughters. The Civil War has left homes empty and the area has become a stop for Jews fl eeing the Nazis, for nomadic gypsies, deserters, smugglers, etc. The age-old tensions and envy among families are heightened by isolation and the hostile climate. The reader will hear the suspicions, investigations and wrong moves by the law, and then discover who committed this crime that the Francoist authorities chose to ignore. which lives on in the region, despite silence from the authorities.